Shrinking headers have become very popular in apps like Facebook, where you need to scroll much content. When you start scrolling, the headers disappears very smooth to grant your users more space on the screen to read the actual content. 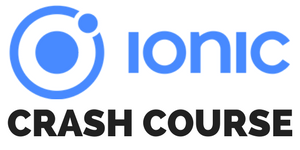 In this post I will show you how to implement this neat little feature inside your Ionic Framework app with the help of a custom ion from the Ionic team. We start with a blank Ionic app and install the header shrink ion with bower. Additional I recommend to add the cordova plugin for styling your statusbar, on this way you can get an even more natural looking behaviour inside your app! Now we are ready to add the feature to our app with just some simple steps! Bacon ipsum dolor amet beef cow pork, picanha sirloin filet mignon alcatra bacon ham. Landjaeger fatback jowl short ribs shoulder sirloin tongue picanha. Boudin tail strip steak shankle, turkey capicola pancetta tongue pork chop drumstick meatloaf. Venison tongue fatback strip steak ribeye kevin, capicola bacon. Additional I added a little spacing at the start of our content to achieve the perfect result for a shrinking header. Inside the content I added a little ng-repeat with some dummy text to get a working example with scrolling. That’s all! Now you can run your app and see your natural looking shrinking header in action!